convicted fraudster Stephen Yaxley-Lennon billed his May 6 event as a #DayofFreedom. It was intentionally promoted as a day to fight for free speech and the right for people to express their views, no matter how unpalatable. The event organisers went to great lengths to ensure that their speakers appeared to represent a cross section of British society. Robinson himself, he assured the audience at the start of day of freedom, had done very little to organise the event. The credit was due to his media team, notably Lucy Brown. 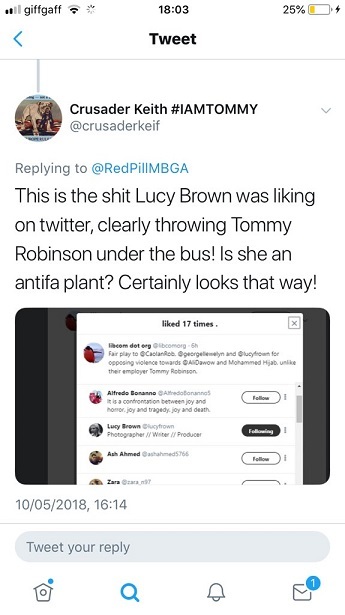 So when Lucy Brown announced the speaker list included high profile You Tube activist Ali Dawah it would be reasonable to believe that she knew what she was talking about. 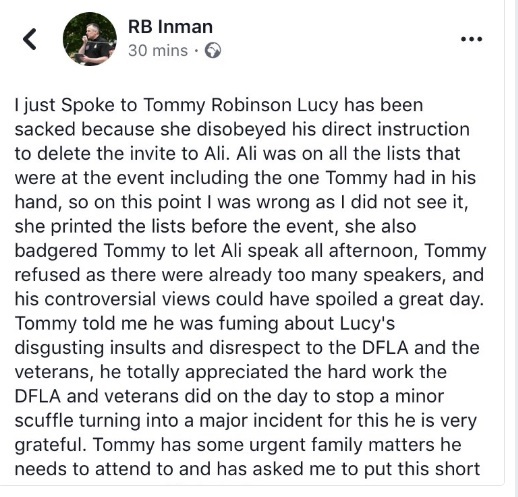 As according to Robinson himself she had organised the event then it would also be reasonable to assume she was in charge of inviting anyone to speak who she wanted to. 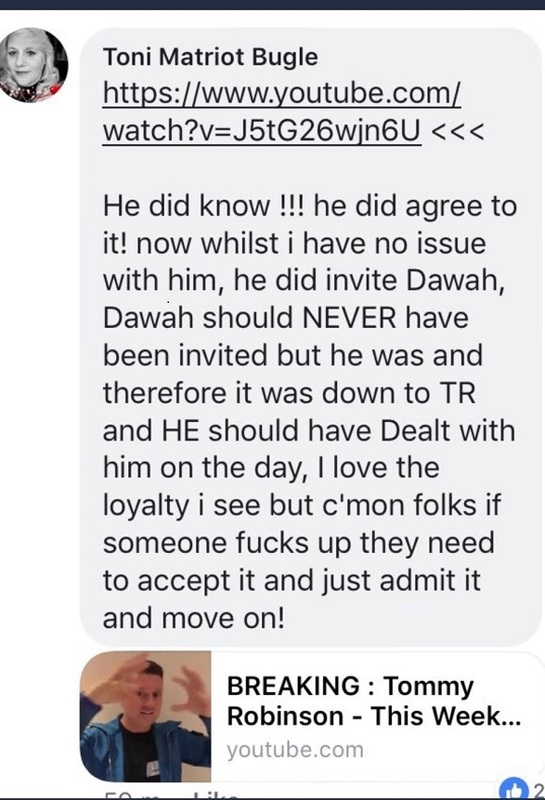 Lucy Brown confirmed Ali Dawah in advance of May 6th. Dawah was on the official running order. Dawah turned up to the event along with all the other speakers but was turned away from speaking. 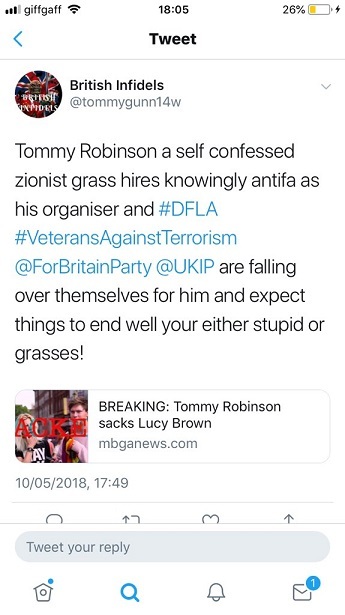 The trouble started when members of the FLA (Football Lads Alliance, though we call them Fascist Lads Alliance) decided to heckle Dawah and shout racist abuse at him. Dawah and Mohammed Hijab who attended the event with him were then both physically and verbally abused by the thugs of the FLA. Although organisers Caolan Robertson, Lucy Brown and several other speakers at the event (notably Sargon of Akkad and Count Dankula) spoke up for the importance of allowing Dawah the same opportunity of free speech that all the other booked speakers were given, convicted fraudster Stephen Yaxley-Lennon decided to pull the plug on Ali Dawah’s spot. Then after the event Robinson denied he had ever given permission for Dawah to speak! He then published a video on his Facebook page saying he would never have asked Ali Dawah to speak. and reported on far right site Redpill Factory it hasn’t been directly confirmed by Robinson or Brown yet). 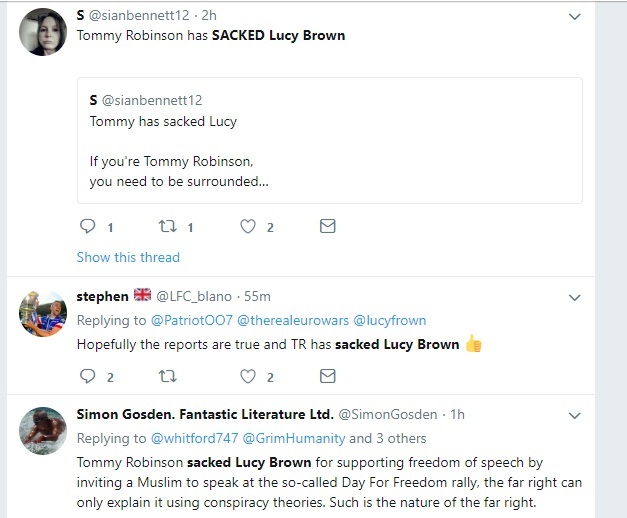 And now Tommy’s cronies are speculating Lucy Brown might be an Antifa mole. I tell you, you couldn’t make this up! I cannot believe the wilful-ignorance being shown regarding the Q&A excerpt where Caolan asks if Ali Dawah will be speaking and Tommy, quite clearly, replies in a sarcastic and jovial tone – grinning cheekily at the camera with humorous flippancy. Are you so-far driven by confirmation bias that you’re willing to ignore the nuance of his delivery? Is this Dankula all over again? There’s much to discuss here without being foolish about it. Had it been an isolated incidence then possibly Robinson could have passed it off as a joke. However his team confirmed Dawah was attending, Dawah was on the promo material, Dawah was on the reader schedule. 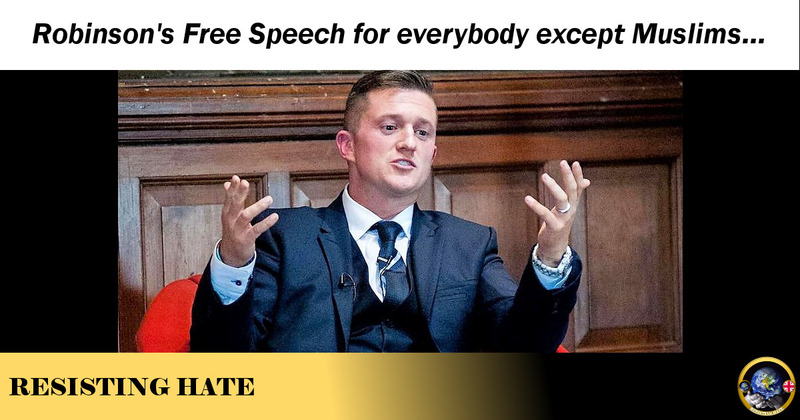 When you add all the evidence together it is clear that Tommy did invite him and then decided free speech doesn’t apply to Muslims. 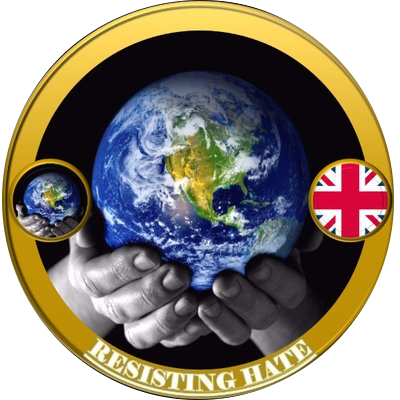 I have a charity box at home and every time someone like you spreads lies about or bullies Tommy I put money in there and when it reaches twenty pounds I write out a cheque to him. 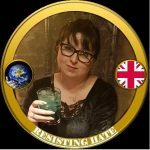 Thanks for your kind donation, Roanna, you fat oversized feminist nut.